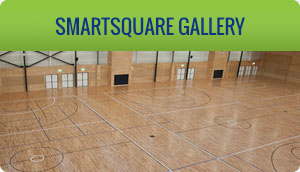 SMARTSQUARE protects your precious gymnasium floors by providing a protective, solid flat protective covering that doesn’t peak or curl. 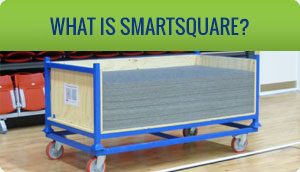 When SMARTSQUARE is installed, floors are level, with no bunching or tripping. Originally developed in Europe to protect exotic wooden and marble floors without damaging them, SMARTSQUARE is being used to protect gym floors in Australia and around the globe. 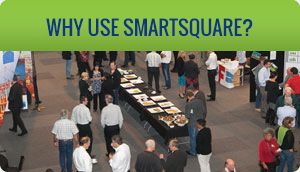 Durable SMARTSQUARE saves you money on maintenance and floor replacement costs. SMARTSQUARE is waterproof, simple and compact to store. 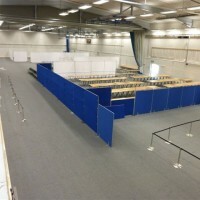 SMARTSQUARE is easily installed, fast to use temporary flooring for quieter exam rooms. Schools, universities and other learning institutions can improve acoustics instantly in exam rooms with SMARTSQUARE noise reduction tiles. 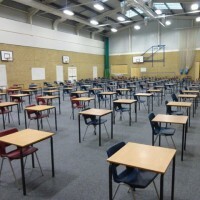 To easily soundproof your hall during exams, SMARTSQUARE becomes a temporary acoustic layer which isolates and block both impact and airborne noise. After the exam period SMARTSQUARE is speedily removed, returning your room back to its normal use. 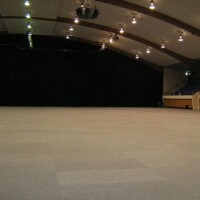 SMARTSQUARE protects your precious hall floor by providing a protective, solid flat surface covering that doesn’t peak or curl. Originally developed in Europe to protect exotic wooden and marble floors without damaging them, SMARTSQUARE is being used to shield valuable town, school and community halls and business floors around the globe.